120:1 A Song of Ascents/Degrees “In my distress, I cried to Yahweh. He answered me. 2 Deliver my soul, Yahweh, from lying lips, from a deceitful tongue. 3 What will be given to you, and what will be done more to you, you deceitful tongue? 4 Sharp arrows of the mighty, with coals of juniper. 5 Woe is me, that I live in Meshech, that I dwell among the tents of Kedar! 6 My soul has had her dwelling too long with him who hates peace. 7 I am for peace, but when I speak, they are for war." Observations: 120:1-7 Psalms 120-135 bear the superscription “Song of The Degrees” which most frequently is used to indicate “steps”, and sometimes specifically refers to the ten steps which the shadow reversed in God's promise to Hezekiah (2 Kings 20:11). Bullinger makes a good case in Appendix #67 that the only Scriptural references to The Degrees are those in 2 Kings 20:8-11 and Isaiah 38:8, and posits plausible backgrounds for each of the psalms based upon the songs Hezekiah wrote from incidents in his life (Isa 38:20). Psalm 121:2 My help comes from Yahweh, who made heaven and earth. Application: When facing overwhelmingly difficult situations, the best solution is to call out to God who faithfully delivers His faithful servants. Prayer: God, thanks that when I call, You answer, and You provide comfort and peace even in the most trying circumstances. Amen. 29:22 “An angry man stirs up strife, and a wrathful man abounds in sin. 23 A man’s pride brings him low, but one of lowly spirit gains honor. 24 Whoever is an accomplice of a thief is an enemy of his own soul. He takes an oath, but dares not testify. 25 The fear of man proves to be a snare, but whoever puts his trust in Yahweh is kept safe. 26 Many seek the ruler’s favor, but a man’s justice comes from Yahweh. Observations: 29:22-27 Anger, pride, and greed cause problems, as does fear of man. All those problems result from being alienated from God. Those who develop a relationship with God to the point where they trust Him for their protection and prosperity, avoid problems. It's from God, not man that we get ultimate and temporal justice. There will usually be the animosity between the righteous and the wicked, particularly if we have God's values governing our behavior. Application: Be a friend of God and you will not only avoid problems, but you won't even fear them. Prayer: God, thanks that You invite me to put my trust in You; I know I will never be disappointed. Please protect me from both internal and external evil. Amen. John 13-17 Up until now, John has been presenting miraculous signs to help people believe in Jesus. Now he provides marvelous sayings to help believers have “life in His name” (20:31). “Life in His name” is the life lived in union with Him and His power/authority. Jesus gives the secrets to the abundant life and intimacy with God. These are His final instructions to the disciples before He was betrayed and crucified. In His high priestly prayer in chapter 17, Jesus reveals what He wants more than anything else for those who believe in Him. He reveals the importance of being in the world, but not of the world, and the priority of ministry and love to like-minded disciples. 13:1 Now before the feast of the Passover, Jesus, knowing that his time had come that he would depart from this world to the Father, having loved his own who were in the world, he loved them to the end. 2 During supper, the devil having already put into the heart of Judas Iscariot, Simon’s son, to betray him, 3 Jesus, knowing that the Father had given all things into his hands, and that he came forth from God, and was going to God, 4 arose from supper, and laid aside his outer garments. He took a towel, and wrapped a towel around his waist. 5 Then he poured water into the basin, and began to wash the disciples’ feet, and to wipe them with the towel that was wrapped around him. 6 Then he came to Simon Peter. He said to him, "Lord, do you wash my feet?" 7 Jesus answered him, "You don’t know what I am doing now, but you will understand later." 8 Peter said to him, "You will never wash my feet!" Jesus answered him, "If I don’t wash you, you have no part with me." 9 Simon Peter said to him, "Lord, not my feet only, but also my hands and my head!" 10 Jesus said to him, "Someone who has been bathed only needs to have his feet washed, but is completely clean. You are clean, but not all of you." 11 For he knew him who would betray him, therefore he said, "You are not all clean." 12 So when he had washed their feet, put his outer garment back on, and sat down again, he said to them, "Do you know what I have done to you? 13 You call me, ‘Teacher’ and ‘Lord.’ You say so correctly, for so I am. 14 If I then, the Lord and the Teacher, have washed your feet, you also ought to wash one another’s feet. 15 For I have given you an example, that you also should do as I have done to you. 16 Most certainly I tell you, a servant is not greater than his lord, neither one who is sent greater than he who sent him. 17 If you know these things, blessed are you if you do them. 18 I don’t speak concerning all of you. I know whom I have chosen. But that the Scripture may be fulfilled, ‘He who eats bread with me has lifted up his heel against me.’ 19 From now on, I tell you before it happens, that when it happens, you may believe that I am he. 20 Most certainly I tell you, he who receives whomever I send, receives me; and he who receives me, receives him who sent me." 21 When Jesus had said this, he was troubled in spirit, and testified, "Most certainly I tell you that one of you will betray me." 22 The disciples looked at one another, perplexed about whom he spoke. 23 One of his disciples, whom Jesus loved, was at the table, leaning against Jesus’ breast. 24 Simon Peter therefore beckoned to him, and said to him, "Tell us who it is of whom he speaks." 25 He, leaning back, as he was, on Jesus’ breast, asked him, "Lord, who is it?" 26 Jesus therefore answered, "It is he to whom I will give this piece of bread when I have dipped it." So when he had dipped the piece of bread, he gave it to Judas, the son of Simon Iscariot. 27 After the piece of bread, then Satan entered into him. Then Jesus said to him, "What you do, do quickly." 28 Now no man at the table knew why he said this to him. 29 For some thought, because Judas had the money box, that Jesus said to him, "Buy what things we need for the feast," or that he should give something to the poor. 30 Therefore, having received that morsel, he went out immediately. It was night. 31 When he had gone out, Jesus said, "Now is the Son of Man glorified, and God is glorified in him. 32 If God is glorified in him, God will also glorify him in himself, and he will glorify him immediately. 33 Little children, I will be with you a little while longer. You will seek me, and as I said to the Jews, ‘Where I am going, you can’t come,’ so now I tell you. 34 A new commandment I give to you, that you love one another, just like I have loved you; that you also love one another. 35 By this everyone will know that you are my disciples, if you have love for one another." 36 Simon Peter said to him, "Lord, where are you going?" Jesus answered, "Where I am going, you can’t follow now, but you will follow afterwards." 37 Peter said to him, "Lord, why can’t I follow you now? I will lay down my life for you." 38 Jesus answered him, "Will you lay down your life for me? Most certainly I tell you, the rooster won’t crow until you have denied me three times." Observations: 13:1-17 This is the section on being blessed and living the Abundant Life Jesus came to give (Jn 10:10). Like the final instructions in Mark's account of training the twelve (Mk 10), Jesus shows them the route to glory is service of one's fellow believers (not the world -Jn 17:9). John emphasizes that Jesus knows full well that He is above all, and is God, but He leaves His seat, lays aside the outer appearance/garments to take the garment of a servant, bend down and serve the needs of the disciples. Then He puts back on His outer garments, and sits down in His place of honor again. This is a picture of Jesus emptying Himself of His glory to do the Father's will (Phil 2:5-11). Note that the heart, or inner reality, of God stays the same, that of a servant. The disciples were already cleansed from the guilt of their sin by their belief in Him. In John 15:3 Jesus said that being clean or pure was a result of the word which He spoke to them, which they had accepted and believed. In Matthew 5:8 Jesus said that the clean/pure of heart are blessed because they will see God. Judas was not clean inwardly because Satan had put his lies into his heart. The verb “bathed” in verse 10 is a perfect passive, which means it refers to something that happened (and was done to them -passive) in the past with continuing results continuing up to the present. The word refers to a total bath (Rev 1:15). The word for “wash” in verse 10 refers to washing ones face, hands or feet of the surface dirt picked up in the course of life. Removal of daily defilement is necessary for daily fellowship with Jesus (1Jn 1:3-10). Jesus is giving an example of both the form and content of the service they need to render to each other. The disciples already believed, and now knew. Jesus only promises blessing for the believers who do. Jesus asks if they understood what He had done. Misinterpreting Jesus actions by interpreting them on the physical level instead of on the spiritual level He intended is common in John (4:15,33; 6:52, etc.). Modern audiences make the same mistake, and miss the blessings that come from doing the things Jesus commanded (like humbly serving other's needs for holiness). The pagans, who lacked any relationship with the living God, emphasized externals like washings and ritual meals. Astute observers will notice that there is no mention of bread being His body or drinking wine in John's account of the last supper, a particularly stunning and deliberate “omission” in light of faulty interpretations of John 6 (Bread of Life – see comments there). Biblical Christianity is not about eating and drinking, but about righteousness, peace and joy in the Holy Spirit (Rm 14:17). Ritual is no substitute for wholehearted obedience. 13:18-30 The account of Judas' betrayal seems to occupy a disproportionate amount of space, but Jesus is preparing His disciples for the betrayal that would happen later that evening. By giving them detailed information ahead of time, He provides a foundation for their faith when it looks like everything goes wrong. See comments on Matthew 26:25. This is the only mention of Satan by name in John's gospel. Apparently the destruction of Jesus was too important to be left in the hands of a junior demon. 13:31-38 The first three uses of the verb glorify are aorist (unspecified tense) while the fourth occurrence is future. The aorist gives a snapshot of the action, which is usually in the past, but which must be determined from the context. Obviously, Jesus is referring to the upcoming events. God had glorified Jesus and promised that He would continue to do so (see 12:28). 13:31-38 The “new” command is bracket by references about Jesus going and the disciples following later, indicating that this command was what should govern their behavior in His absence. The command is self-sacrificial love (agape) toward other disciples (not the world, nor Jews, nor Judas, nor even Jesus Himself – although see 14:15). This is how everyone will know they are Christ's disciples (not ads, billboards, community service, helping the poor, although all those things might be good, they're not the priority). The manner in which they should love one another is as Christ loved them. So then the question becomes, “How did Jesus love them?” Your answer has to go beyond foot-washing and hanging on a cross. Jesus shared the way of God, the truth of God, and the life of God with them (see 14:6, and the entire gospel). The account of Peter's denial teaches us that intention doesn't equal implementation. Application: Exactly how do you love your fellow believers so that all know you are Christ's disciple? Where is the humble self-sacrifice of your soul for the benefit of others? 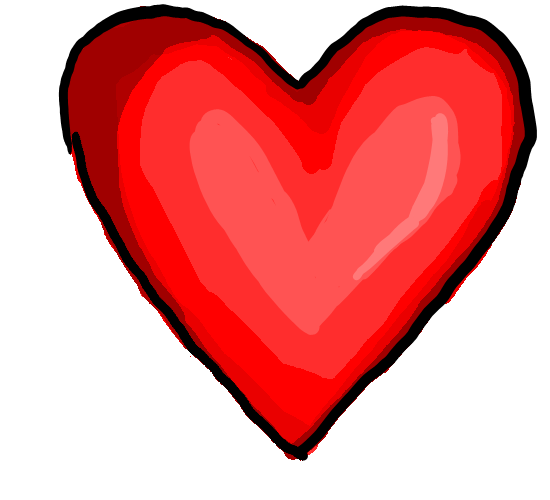 Prayer: Lord, thanks for the lavish love You've shown me, and the model You've given me; may I show others the same love. Amen. John 14 Do You Love Jesus? 14:1 "Don’t let your heart be troubled. Believe in God. Believe also in me. 2 In my Father’s house are many homes. If it weren’t so, I would have told you. I am going to prepare a place for you. 3 If I go and prepare a place for you, I will come again, and will receive you to myself; that where I am, you may be there also. 4 Where I go, you know, and you know the way." 5 Thomas said to him, "Lord, we don’t know where you are going. How can we know the way?" 6 Jesus said to him, "I am the way, the truth, and the life. No one comes to the Father, except through me. 7 If you had known me, you would have known my Father also. From now on, you know him, and have seen him." 8 Philip said to him, "Lord, show us the Father, and that will be enough for us." 9 Jesus said to him, "Have I been with you such a long time, and do you not know me, Philip? He who has seen me has seen the Father. How do you say, ‘Show us the Father?’ 10 Don’t you believe that I am in the Father, and the Father in me? The words that I tell you, I speak not from myself; but the Father who lives in me does his works. 11 Believe me that I am in the Father, and the Father in me; or else believe me for the very works’ sake. 12 Most certainly I tell you, he who believes in me, the works that I do, he will do also; and he will do greater works than these, because I am going to my Father. 13 Whatever you will ask in my name, that will I do, that the Father may be glorified in the Son. 14 If you will ask anything in my name, I will do it. 15 If you love me, keep my commandments. 16 And I will pray to the Father, and he will give you another counselor, that he may be with you forever,— 17 the Spirit of truth, whom the world can’t receive; for it doesn’t see him, neither knows him. You know him, for he lives with you, and will be in you. 18 I will not leave you orphans. I will come to you. 19 Yet a little while, and the world will see me no more; but you will see me. Because I live, you will live also. 20 In that day you will know that I am in my Father, and you in me, and I in you. 21 One who has my commandments, and keeps them, that person is one who loves me. One who loves me will be loved by my Father, and I will love him, and will reveal myself to him." 22 Judas (not Iscariot) said to him, "Lord, what has happened that you are about to reveal yourself to us, and not to the world?" 23 Jesus answered him, "If a man loves me, he will keep my word. My Father will love him, and we will come to him, and make our home with him. 24 He who doesn’t love me doesn’t keep my words. The word which you hear isn’t mine, but the Father’s who sent me. 25 I have said these things to you, while still living with you. 26 But the counselor, the Holy Spirit, whom the Father will send in my name, he will teach you all things, and will remind you of all that I said to you. 27 Peace I leave with you. My peace I give to you; not as the world gives, give I to you. Don’t let your heart be troubled, neither let it be fearful. 28 You heard how I told you, ‘I go away, and I come to you.’ If you loved me, you would have rejoiced, because I said ‘I am going to my Father’; for the Father is greater than I. 29 Now I have told you before it happens so that, when it happens, you may believe. 30 I will no more speak much with you, for the prince of the world comes, and he has nothing in me. 31 But that the world may know that I love the Father, and as the Father commanded me, even so I do. Arise, let us go from here." Observations: 14:1-3 In light of Jesus' comments in the end of the last chapter that He is going away, He gives them encouragement to believe in God and Himself. Jesus says He's going away to prepare a place for them, and then will return for them. This explains why He hasn't returned yet, since everyone knows construction projects always take longer than expected, even for a carpenter :) It's more likely that Jesus was referring to the upcoming events (death, resurrection, ascension, sending of the Holy Spirit) which would make it possible for the disciples to be in heaven. Note the point of the passage is in verse 3, that He goes, to come again, for them. The imagery is that of a bridegroom, who transacts the marriage contract, then goes and prepares a dwelling place for his new bride, and then returns for her. A number of commentators see a reference to the rapture in verse 3, which isn't unwarranted. 14:4-14 Jesus has spent three years demonstrating to them He is sent from God, and is going back to God, and that He and the Father are one (1:18; 10:30). The disciples don't always appear to be the brightest crayons in the box. Jesus makes the very narrow and exclusive statement (truth is narrow and exclusive) that He is the way, the truth, and the life, and that it is only through Him that one comes to the Father. Jesus is the Lamb of God who takes away the sins of the world, and the Savior of the world, and the means by which God loves the world (1:28; 4:42; 3:16; cf Acts 4:12). Since Jesus is God's only provision/solution for the sins that separate us from Him, Jesus has to be the only way. (The fact that He's also God helps with understanding the exclusivity; where else are you going to get your information about eternity?) Verses 12-13 bolster the exclusive claim; prayers made by believers in Jesus, in Jesus' name, get answered. What it means to ask “in His name” will be answered in John 16. 14:15-24 What about “keep my commandments” don't you understand? The word for love is agapao, as in self-sacrificial love, not nice feelings. It is parallel to the OT hesed, covenantal loyalty. If you are going to be loyal to Jesus, do what He commands. Notice that commands is plural, so it can't be just believe. Some have perverted this concept of Biblical love, replacing noble loyalty with fuzzy feelings. 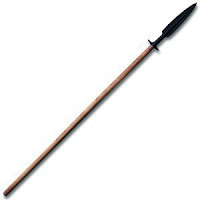 Agapao is pledging your life and sword to a sovereign king; it's not a peck on the cheek. 14:25-26 Verse 26 deserves special notice because it (with 16:13) sets up the inspiration of the NT. The Holy Spirit, sent by the Father in the name/authority of Jesus would guide the apostles (not you and me) in all truth. He (note the gender) would bring back their minds all that Jesus said, and teach/explain everything to them. (So that explains how the disciples got so bright). He also authenticated them as God's spokesman in Acts, so we have an accurate record of the truth we must believe. 14:27-31 The peace Jesus gives is not as the world gives. This is the first mention of peace in John, but is a Messianic Blessing in Luke 2:14 (see comments there), as it was in much of the OT, and is a blessing linked with grace in most epistles of the NT. If the disciples were thinking only of themselves they would be sad. But if they loved Jesus, and wanted what was best for Him, they would rejoice. Jesus had already made the identity that He and the Father were one. Functionally, the Father had greater authority/glory, since Jesus had emptied Himself of His own. In doing so, He lived on earth in total dependence upon the Father, serving as a model for us. Jesus tells them what happens so their faith will be strengthened. The scheme of prince of the world (Satan) was approaching which would cut off the direct communication with the disciples. Satan has nothing in (ev) Jesus. This could mean no part in Him, nothing in common with Him, or nothing on Him (which would have been a different preposition, but some say it's an idiom). In any event, time was short, and Jesus concludes this part of the discourse with a reminder of the connection of love and obedience. Application: Your relationship with God is dependent upon belief, and your intimacy with God is dependent upon faithful obedience. If you don't value obedience, Jesus says You don't have a good relationship with Him. Don't deceive yourself into denying His commands. Prayer: Lord, I love You, and will keep Your commandments; please guide me in Your truth. Amen. 15:1 "I am the true vine, and my Father is the farmer. 2 Every branch in me that doesn’t bear fruit, he takes away. Every branch that bears fruit, he prunes, that it may bear more fruit. 3 You are already pruned clean because of the word which I have spoken to you. 4 Remain in me, and I in you. As the branch can’t bear fruit by itself, unless it remains in the vine, so neither can you, unless you remain in me. 5 I am the vine. You are the branches. He who remains in me, and I in him, the same bears much fruit, for apart from me you can do nothing. 6 If a man doesn’t remain in me, he is thrown out as a branch, and is withered; and they gather them, throw them into the fire, and they are burned. 7 If you remain in me, and my words remain in you, you will ask whatever you desire, and it will be done for you. 8 "In this is my Father glorified, that you bear much fruit; and so you will be my disciples. 9 Even as the Father has loved me, I also have loved you. Remain in my love. 10 If you keep my commandments, you will remain in my love; even as I have kept my Father’s commandments, and remain in his love. 11 I have spoken these things to you, that my joy may remain in you, and that your joy may be made full. 12 "This is my commandment, that you love one another, even as I have loved you. 13 Greater love has no one than this, that someone lay down his life for his friends. 14 You are my friends, if you do whatever I command you. 15 No longer do I call you servants, for the servant doesn’t know what his lord does. But I have called you friends, for everything that I heard from my Father, I have made known to you. 16 You didn’t choose me, but I chose you, and appointed you, that you should go and bear fruit, and that your fruit should remain; that whatever you will ask of the Father in my name, he may give it to you. Observations: 15:1-8 As Jesus and His disciples left the Upper Room (although some think they just had a stretch break) He continued His teaching on the way to the Garden where He would be betrayed. Josephus says the temple was adorned with a golden vine representing Israel, and the Maccabean coins depicted Israel as a vine. A handful of OT passages represent Israel as a vine, particularly Isaiah 5:1-7 which indicates that it is unfruitful and would be burned. God expected Israel to produce fruit that would be useful to Him, so He could bless them. In contrast to Israel who had been and would be cursed for their lack of fruitful obedience, Jesus was the true vine. This is the last of the “I am” metaphors. He is the source of life that produces the joy and wine of the Messianic Age, not Pharisaical Israel (cf comments on Jn 2:10). The disciples were the branches that needed to remain connected to the vine (through continued belief - cf. the olive branches in Romans 11) to be fruitful. They would draw their life from the true vine, Jesus, and produce the fruit God desired (which in Isaiah is righteousness and justice) which would result in His glory being displayed in blessing them. In John's context the fruit would have those elements as well as the fruit of the Spirit, love, which, with obedience is one of the hallmarks of John 13-17. Answered prayer for which God is praised, and joy might be other fruits on the cluster (15:7,11). Isaiah 5:5 And now, please let Me tell you what I will do to My vineyard: I will take away its hedge, and it shall be burned; And break down its wall, and it shall be trampled down. 6 I will lay it waste; It shall not be pruned or dug, But there shall come up briers and thorns. I will also command the clouds That they rain no rain on it." 7 For the vineyard of the LORD of hosts is the house of Israel, And the men of Judah are His pleasant plant. He looked for justice, but behold, oppression; For righteousness, but behold, a cry for help. This is not instruction about forgiveness and justification, but fruitfulness and service to Jesus' most loyal group of disciples. Every unfruitful branch would be taken away (or lifted up is a possible translation); every fruitful branch would be pruned/cleaned so it could become more fruitful. Jesus says the disciples are already clean because of the word which He spoke and they believed. Now their job is to remain or abide in Him. In keeping with the metaphor, this has to mean: remain attached to the vine, drawing strength and nourishment from Christ. If the branch was in the vine, the life of the vine would be in the branch, and fruit would result. 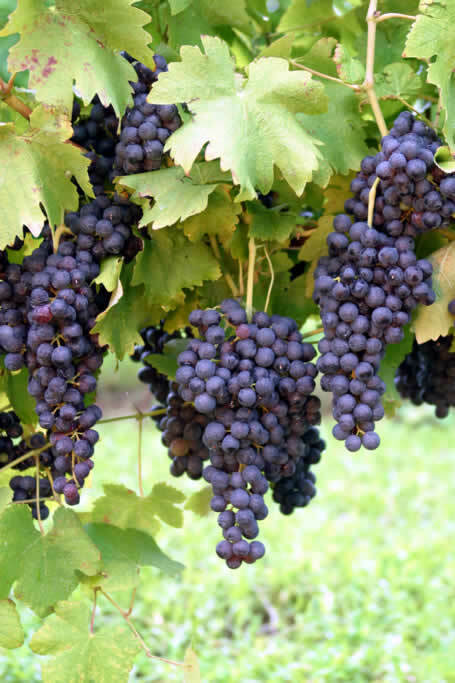 Branches can 't absorb water and nutrients from the earth, nor bear fruit, unless they are attached to the vine. If a man/branch doesn't remain/abide in Christ, he is cast into the fire and burned. This is not reference to the lake of fire (because forgiveness/justification are nowhere in view), but rather the garbage dump (1Cor 3:13) burning for unprofitable servants. What use is a branch that doesn't abide in the vine and bear fruit (Ezek 15)? The branches that remain firmly attached to the vine (characterized as having God's words abide in them, as in obeyed) will have a vibrant prayer life, see results, and be fruitful. This glorifies the father, and is a dead giveaway that the person is a disciple of Jesus. 15:9-16 Believers are to abide in Jesus' love, as well as His words. Jesus repeats the theme of the previous chapter, that obedience and love are inseparable. As Jesus obeyed the Father, and remained in His love, so believers are to obey Jesus in order to remain in His love (there's that conditional experience of His love again). Jesus, the true vine, is giving this instruction because He cares about our joy. He wants us to share in His joy, and do so abundantly. (See Joy outlines on Truthbase.net). Love is not a feeling, but a decision of the will to sacrifice oneself for the benefit of another, in meeting their need, which is what Jesus did in dying for our sins (although He hasn't explicitly stated that yet). Jesus also gives some instruction about friendship (See TOYL on Biblical Friendship). Friendship is about commonality and sharing oneself with another, in this instance, purpose and objectives. Disclosure of oneself is essential to intimate friendship, and Jesus revealed everything the Father made known to Him. Jesus chose them as His disciples (usually a disciple chose a teacher) therefore they had what it took to be successful fruit-bearers, if they obeyed. He chose them to be fruitful servants, whose fruit endured. The enduring fruit opened the door for God to answer their prayers. Whatever they asked the Father in the name (power/authority) of Jesus (in accord with His purposes), He would do. 15:17-25 Verse 17 appropriately introduces the next section. Jesus commands the love of fellow disciples in the face of the world hating them. Because they share loyalty to Jesus they should love each other. They don't share the values of the world, therefore the world hates them. If they hated Jesus, how much more will they hate those who serve Him. The establishment is so far removed from knowing and doing God's will that they will think they are doing His will in persecuting Jesus and His disciples. It's obvious they don't know God, though they claim to do things in God's name. Jesus did miracles in God's name, and they ignored it. Therefore they are without excuse for their sin of rejecting God's revelation. The unique miracles of Jesus made it clear that He was from God. But they weren't interested in God's blessings, but had gone over to the dark side (see comments on 11:48). 15:26-27 Jesus again mentions the Holy Spirt as the Spirit of truth, who will testify to the truth, as will they, since they had witnessed God's authentication of Jesus from the beginning. 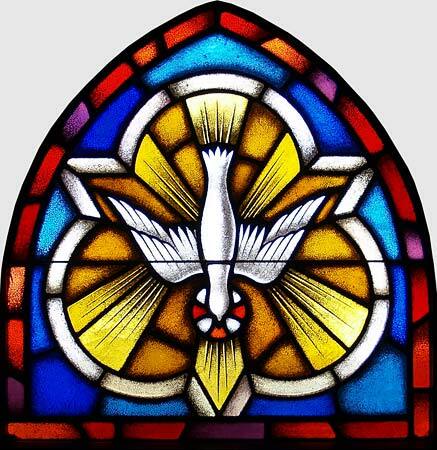 The Holy Spirit would be sent to them to bear witness through them (as in the miracles in Acts, like the Day of Pentecost). Application: Those who abide in Christ and His words will bear fruit that glorifies God. Those who don't will be burned as the useless, unproductive branches they are. Any questions? Prayer: Lord Jesus, may I abide in You and Your words, so that Your life flows through my veins, and I bear fruit that glorifies You. Amen. 16:1 "These things have I spoken to you, so that you wouldn’t be caused to stumble. 2 They will put you out of the synagogues. Yes, the time comes that whoever kills you will think that he offers service to God. 3 They will do these things because they have not known the Father, nor me. 4 But I have told you these things, so that when the time comes, you may remember that I told you about them. I didn’t tell you these things from the beginning, because I was with you. 5 But now I am going to him who sent me, and none of you asks me, ‘Where are you going?’ 6 But because I have told you these things, sorrow has filled your heart. 7 Nevertheless I tell you the truth: It is to your advantage that I go away, for if I don’t go away, the counselor won’t come to you. But if I go, I will send him to you. 12 "I have yet many things to tell you, but you can’t bear them now. 13 However when he, the Spirit of truth, has come, he will guide you into all truth, for he will not speak from himself; but whatever he hears, he will speak. He will declare to you things that are coming. 14 He will glorify me, for he will take from what is mine, and will declare it to you. 15 All things whatever the Father has are mine; therefore I said that he takes of mine, and will declare it to you. 16 A little while, and you will not see me. Again a little while, and you will see me." 17 Some of his disciples therefore said to one another, "What is this that he says to us, ’A little while, and you won’t see me, and again a little while, and you will see me;’ and, ’Because I go to the Father?’" 18 They said therefore, "What is this that he says, ’A little while?’ We don’t know what he is saying." 19 Therefore Jesus perceived that they wanted to ask him, and he said to them, "Do you inquire among yourselves concerning this, that I said, ‘A little while, and you won’t see me, and again a little while, and you will see me?’ 20 Most certainly I tell you, that you will weep and lament, but the world will rejoice. You will be sorrowful, but your sorrow will be turned into joy. 21 A woman, when she gives birth, has sorrow, because her time has come. But when she has delivered the child, she doesn’t remember the anguish any more, for the joy that a human being is born into the world. 22 Therefore you now have sorrow, but I will see you again, and your heart will rejoice, and no one will take your joy away from you. 23 "In that day you will ask me no questions. Most certainly I tell you, whatever you may ask of the Father in my name, he will give it to you. 24 Until now, you have asked nothing in my name. Ask, and you will receive, that your joy may be made full. 25 I have spoken these things to you in figures of speech. But the time is coming when I will no more speak to you in figures of speech, but will tell you plainly about the Father. 26 In that day you will ask in my name; and I don’t say to you, that I will pray to the Father for you, 27 for the Father himself loves you, because you have loved me, and have believed that I came forth from God. 28 I came out from the Father, and have come into the world. Again, I leave the world, and go to the Father." 29 His disciples said to him, "Behold, now you speak plainly, and speak no figures of speech. 30 Now we know that you know all things, and don’t need for anyone to question you. By this we believe that you came forth from God." 31 Jesus answered them, "Do you now believe? 32 Behold, the time is coming, yes, and has now come, that you will be scattered, everyone to his own place, and you will leave me alone. Yet I am not alone, because the Father is with me. 33 I have told you these things, that in me you may have peace. In the world you have oppression; but cheer up! I have overcome the world." Observations: 16:1-7 When Jesus leaves, the disciples will experience a degree of persecution that Jesus had protected them from while He was with them. The mention of His leaving grieves them, but Jesus tells them it is to their advantage for Him to go away, so the Holy Spirit can be sent. Convince of sin, because they didn't believe in Jesus. Independence is the essence of sin. Those who were seeking God's will and the Kingdom revealed in God's word accepted Christ. Those who rebelled against God's will and word didn't accept His works authenticating Christ, and thus didn't believe in Christ. Convince of righteousness being found in Christ. The fact that He was resurrected and went to the Father in heaven was a demonstration of His righteousness. God offers the righteousness of Christ to those who believe in Christ. This hasn't been specified in this discourse (in fact this is the only spot where John uses the word for righteousness), but was implicit in the chiastic center of the prologue (1:12-13), as well as in 3:16, the Lamb of God and Savior of the world testimonies, and Jesus' mention of being lifted up. Convince of judgment. Satan had been judged (perfect tense), which could refer to time before Jesus was speaking or before the Holy Spirit arrives on the scene. If the former, then the argument would be that since God judged sin in Satan, the chief ruler of this world, by tossing him out heaven, then all who follow him rather than God would be judged. If the latter then the triumph of Jesus over death by the resurrection (and authentication by the miracles of Holy Spirit as the apostles testified to His resurrection), would indicate that he no longer has the power of death. 16:12-15 Jesus again specifies that the Holy Spirit is the Spirit of truth, whose ministry to the apostles would be to guide them in all truth. This refers to inspiration (2Pt 1:21) not illumination. Another job of the Holy Spirit would be to glorify Jesus. He would do this through revealing and authenticating Jesus' will in the lives of those who followed Jesus. The spirit that glorifies itself isn't the Holy Spirit. 16:16-22 Jesus tells them that their temporary sorrow at His departure/death would be turned to undiminishing joy at His resurrection/return. 16:28-33 Jesus clearly states that He has come from the Father into the world, and would be leaving to go back to the Father. The disciples confess their belief, but Jesus says it will be tested as He is taken and they are scattered. Nevertheless, the Father would always be with Him. Jesus tells them these things so they will have peace in the midst of the oppression they would face. By maintaining their union with the Father and Son through obedience (14:21) they would share in Jesus' victory over the world. Application: Believers who follow Jesus will experience temporary sorrow that will be replaced by enduring joy. Prayer: Lord God, thanks that Your presence is always accessible and can provide peace in the midst of trials; may I wholeheartedly believe and obey, and share in Your joyful victory. Amen. 17:1 Jesus said these things, and lifting up his eyes to heaven, he said, "Father, the time has come. Glorify your Son, that your Son may also glorify you; 2 even as you gave him authority over all flesh, he will give eternal life to all whom you have given him. 3 This is eternal life, that they should know you, the only true God, and him whom you sent, Jesus Christ. 4 I glorified you on the earth. I have accomplished the work which you have given me to do. 5 Now, Father, glorify me with your own self with the glory which I had with you before the world existed. 6 I revealed your name to the people whom you have given me out of the world. They were yours, and you have given them to me. They have kept your word. 7 Now they have known that all things whatever you have given me are from you, 8 for the words which you have given me I have given to them, and they received them, and knew for sure that I came forth from you, and they have believed that you sent me. 9 I pray for them. I don’t pray for the world, but for those whom you have given me, for they are yours. 10 All things that are mine are yours, and yours are mine, and I am glorified in them. 11 I am no more in the world, but these are in the world, and I am coming to you. Holy Father, keep them through your name which you have given me, that they may be one, even as we are. 12 While I was with them in the world, I kept them in your name. Those whom you have given me I have kept. None of them is lost, except the son of destruction, that the Scripture might be fulfilled. 13 But now I come to you, and I say these things in the world, that they may have my joy made full in themselves. 14 I have given them your word. The world hated them, because they are not of the world, even as I am not of the world. 15 I pray not that you would take them from the world, but that you would keep them from the evil one. 16 They are not of the world even as I am not of the world. 17 Sanctify them in your truth. Your word is truth. 18 As you sent me into the world, even so I have sent them into the world. 19 For their sakes I sanctify myself, that they themselves also may be sanctified in truth. 20 Not for these only do I pray, but for those also who believe in me through their word, 21 that they may all be one; even as you, Father, are in me, and I in you, that they also may be one in us; that the world may believe that you sent me. 22 The glory which you have given me, I have given to them; that they may be one, even as we are one; 23 I in them, and you in me, that they may be perfected into one; that the world may know that you sent me, and loved them, even as you loved me. 24 Father, I desire that they also whom you have given me be with me where I am, that they may see my glory, which you have given me, for you loved me before the foundation of the world. 25 Righteous Father, the world hasn’t known you, but I knew you; and these knew that you sent me. 26 I made known to them your name, and will make it known; that the love with which you loved me may be in them, and I in them." 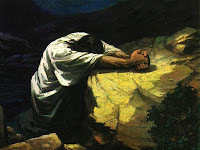 Observations: 17:1-5 John records in the next chapter that Jesus went over the Kidron Brook to the garden in Gethesemane, so it isn't clear where He prayed these words. Jesus knows the time for His death has come, and asks the Father to glorify Him, so He can glorify the Father. His resurrection and eventual establishment of His kingdom would fulfill the promises God made in the OT to Abraham, David, and in the New Covenant, which would magnify God's reputation/glory (see comments on Mt 5:17). The Father gave Jesus authority to give eternal life (dominion of the Age) to all the servants the Father had given Him (same folks as in John 15). He defines eternal life as an intimate relationship with the Father and Son (16:41). Jesus says He has glorified the Father already by completing the work the Father had given Him to do. Since He hadn't died yet, the proclaiming the Kingdom, and training the disciples are probably in view. Jesus asks that the Father will glorify Jesus with the Father's own self, by giving Jesus the glory they shared before the world existed. 17:6-10 Jesus revealed God's name/power/character to the disciples which the Father had given Him out of the Father's people (faithful Jews). The disciples had kept the Father's word, and received and believed the words Jesus gave them. Jesus prays for the disciples, in whom He had been glorified (perfect tense – seen as great). 17:11-16 The content of what Jesus prays for the disciples is that they may be protected and unified, so that they might have Jesus' joy fulfilled in them (Heb 12:2; 1:9 anointed as Messianic King with/above His companions). It's not about being happy, but blessed. In terms of protection, Jesus prays the Father would keep them from the evil one. The world (under Satan's control -Eph 2) hates them because they are not of the world. That means the source of the values and actions is not from the earth, but from heaven, just like Jesus. 17:17-19 Jesus asks that the Father would sanctify (set apart, make holy) the disciples by means of (or in the sphere of) the truth, ie, His word. The truth is the only thing that counteracts the defiling lies of Satan. Prayer, fasting, singing, fellowship, service and even worship (unless it's correctly understood) do not sanctify; only the truth does through the working of the Holy Spirit. The Spirit of God uses the word of God to produce in believers the mind (and actions) of Christ. Then they can accomplish the mission He has for them (20:21). Jesus sanctifies/sets Himself apart (to do God's will and reveal His truth) for the benefit of the believers so they can be sanctified by the truth. 17:20 Jesus not only prays for the disciples but for those who will believe through their word (that's you and me). He wants NT believers to have the unity of purpose that is reflective of that in the Godhead. Unity is not uniformity, and is definitely not “agreeing to disagree” but is found in coming to agreement on the truth (which is knowable 8:31 to those who abide in His word). This is the kind of unity that authenticates Biblical Christianity in an unbelieving world. No self-will in sight. 17:24 Jesus' final request is for the disciples to see (and share) in His glory. On earth, only those who are pleasing to the king are allowed anywhere near his presence. The same paradigm applies in heaven. Jesus wants the loyal love between the Father and Son (a Suzerain-Vassal treaty reference to hesed) to be within believers as He indwells them (through the Holy Spirit – New Covenant). Application: Believers sanctified by the truth have a basis for unity which reflects God's glory to the world. Prayer: Heavenly Father, may Your truth sanctify and transform me, so I can life in Biblical unity with my fellow believers, loving them as You love Jesus. Amen. God in a nutshell: God wants to display His glory to the world through those who trust Jesus, when they live in love and unity with each other. Build-a-Jesus: Jesus will live His life through those who love and obey Him; He will also share His glory with them. He is concerned about our joy, and tells us how to get it. Us in a nutshell: If we abide in God's word, and His words abide in us, we will become holy, fruitful, joyful and blessed. If we don't obey, we don't love Jesus. Knowing and believing should lead to doing. 13:1 Now before the feast of the Passover, Jesus, knowing that his time had come that he would depart from this world to the Father, having loved his own who were in the world, he loved them to the end. 2 During supper, the devil having already put into the heart of Judas Iscariot, Simon’s son, to betray him, 3 Jesus, knowing that the Father had given all things into his hands, and that he came forth from God, and was going to God, 4 arose from supper, and laid aside his outer garments. He took a towel, and wrapped a towel around his waist. 5 Then he poured water into the basin, and began to wash the disciples’ feet, and to wipe them with the towel that was wrapped around him. 6 Then he came to Simon Peter. He said to him, "Lord, do you wash my feet?" 7 Jesus answered him, "You don’t know what I am doing now, but you will understand later." 8 Peter said to him, "You will never wash my feet!" Jesus answered him, "If I don’t wash you, you have no part with me." 9 Simon Peter said to him, "Lord, not my feet only, but also my hands and my head!" 10 Jesus said to him, "Someone who has bathed only needs to have his feet washed, but is completely clean. You are clean, but not all of you." 11 For he knew him who would betray him, therefore he said, "You are not all clean." 12 So when he had washed their feet, put his outer garment back on, and sat down again, he said to them, "Do you know what I have done to you? 13 You call me, ‘Teacher’ and ‘Lord.’ You say so correctly, for so I am. 14 If I then, the Lord and the Teacher, have washed your feet, you also ought to wash one another’s feet. 15 For I have given you an example, that you also should do as I have done to you. 16 Most certainly I tell you, a servant is not greater than his lord, neither one who is sent greater than he who sent him. 17 If you know these things, blessed are you if you do them. 31 When he had gone out, Jesus said, "Now the Son of Man has been glorified, and God has been glorified in him. 32 If God has been glorified in him, God will also glorify him in himself, and he will glorify him immediately. 33 Little children, I will be with you a little while longer. You will seek me, and as I said to the Jews, ‘Where I am going, you can’t come,’ so now I tell you. 34 A new commandment I give to you, that you love one another, just like I have loved you; that you also love one another. 35 By this everyone will know that you are my disciples, if you have love for one another." 36 Simon Peter said to him, "Lord, where are you going?" Jesus answered, "Where I am going, you can’t follow now, but you will follow afterwards." 37 Peter said to him, "Lord, why can’t I follow you now? I will lay down my life for you." 38 Jesus answered him, "Will you lay down your life for me? Most certainly I tell you, the rooster won’t crow until you have denied me three times. 15 If you love me, keep my commandments. 16 I will pray to the Father, and he will give you another counsellor, that he may be with you forever,— 17 the Spirit of truth, whom the world can’t receive; for it doesn’t see him, neither knows him. You know him, for he lives with you, and will be in you. 18 I will not leave you orphans. I will come to you. 19 Yet a little while, and the world will see me no more; but you will see me. Because I live, you will live also. 20 In that day you will know that I am in my Father, and you in me, and I in you. 21 One who has my commandments, and keeps them, that person is one who loves me. One who loves me will be loved by my Father, and I will love him, and will reveal myself to him." 22 Judas (not Iscariot) said to him, "Lord, what has happened that you are about to reveal yourself to us, and not to the world?" 23 Jesus answered him, "If a man loves me, he will keep my word. My Father will love him, and we will come to him, and make our home with him. 24 He who doesn’t love me doesn’t keep my words. The word which you hear isn’t mine, but the Father’s who sent me. 25 I have said these things to you, while still living with you. 26 But the counsellor, the Holy Spirit, whom the Father will send in my name, he will teach you all things, and will remind you of all that I said to you. 27 Peace I leave with you. My peace I give to you; not as the world gives, give I to you. Don’t let your heart be troubled, neither let it be fearful. 28 You heard how I told you, ‘I go away, and I come to you.’ If you loved me, you would have rejoiced, because I said ‘I am going to my Father’; for the Father is greater than I. 29 Now I have told you before it happens so that, when it happens, you may believe. 30 I will no more speak much with you, for the prince of the world comes, and he has nothing in me. 31 But that the world may know that I love the Father, and as the Father commanded me, even so I do. Arise, let us go from here. 9 Even as the Father has loved me, I also have loved you. Remain in my love. 10 If you keep my commandments, you will remain in my love; even as I have kept my Father’s commandments, and remain in his love. 11 I have spoken these things to you, that my joy may remain in you, and that your joy may be made full. 12 "This is my commandment, that you love one another, even as I have loved you. 13 Greater love has no one than this, that someone lay down his life for his friends. 14 You are my friends, if you do whatever I command you. 15 No longer do I call you servants, for the servant doesn’t know what his lord does. But I have called you friends, for everything that I heard from my Father, I have made known to you. 16 You didn’t choose me, but I chose you, and appointed you, that you should go and bear fruit, and that your fruit should remain; that whatever you will ask of the Father in my name, he may give it to you. 17 "I command these things to you, that you may love one another. 26 "When the counsellor has come, whom I will send to you from the Father, the Spirit of truth, who proceeds from the Father, he will testify about me. 27 You will also testify, because you have been with me from the beginning. 16:1 "These things have I spoken to you, so that you wouldn’t be caused to stumble. 2 They will put you out of the synagogues. Yes, the time comes that whoever kills you will think that he offers service to God. 3 They will do these things because they have not known the Father, nor me. 4 But I have told you these things, so that when the time comes, you may remember that I told you about them. I didn’t tell you these things from the beginning, because I was with you. 5 But now I am going to him who sent me, and none of you asks me, ‘Where are you going?’ 6 But because I have told you these things, sorrow has filled your heart. 7 Nevertheless I tell you the truth: It is to your advantage that I go away, for if I don’t go away, the counsellor won’t come to you. But if I go, I will send him to you. 8 When he has come, he will convict the world about sin, about righteousness, and about judgment; 9 about sin, because they don’t believe in me; 10 about righteousness, because I am going to my Father, and you won’t see me any more; 11 about judgment, because the prince of this world has been judged. 12 "I have yet many things to tell you, but you can’t bear them now. 13 However when he, the Spirit of truth, has come, he will guide you into all truth, for he will not speak from himself; but whatever he hears, he will speak. He will declare to you things that are coming. 14 He will glorify me, for he will take from what is mine, and will declare it to you. 15 All things whatever the Father has are mine; therefore I said that he takes of mine, and will declare it to you.